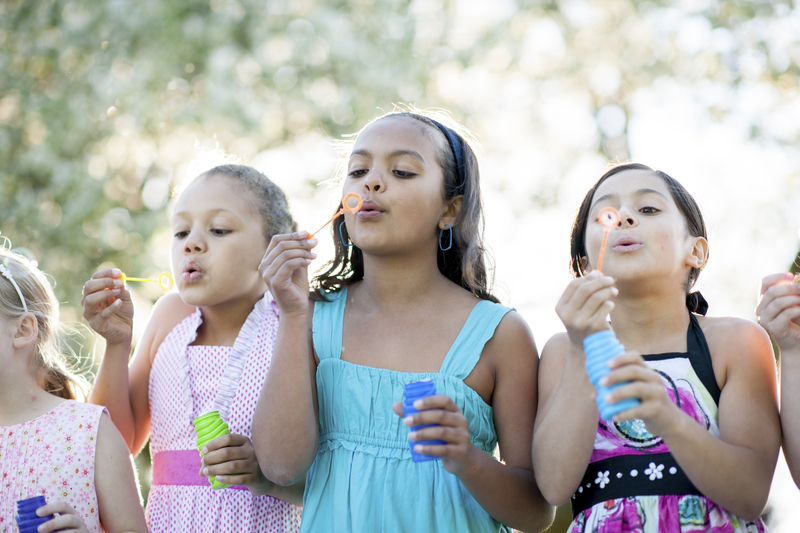 5 Summer trends you need to know about! Summer is upon us and to help you cultivate your warm weather wardrobe we’ve enlisted the help of Open Colleges student, Cara Baillie. Below you will find her top 5 style picks for summer 2015/16, taken straight from the catwalks and delivered right here to you! Before studying fashion, I would have denied the influence of trends on my fashion choices and style. Now I am conscious of the effect of fashion in determining what is available to me — both in finished garments and the materials to make them. The happy consequence of my enlightenment is the creation of a timeless wardrobe by careful selection of styles that suit me perfectly but that can be worn for seasons to come. When approached this way, shopping becomes an exciting and satisfying game. I hope you are inspired to play! Looking at the summer 2015/16 collections from the world’s top designers, it’s clear that there is a focus on energetic, sensual and fun fashion this season. There aren’t many women who haven’t been disappointed in the past when trying on cossies… some seasons are limited to string bikinis and others to nana one-pieces! This year however, we are going retro on the beach with 1940’s pin-up girl swimwear. These styles are great because they add curves to boyish figures and also flatter curvier girls. I love Etsy for vintage style. 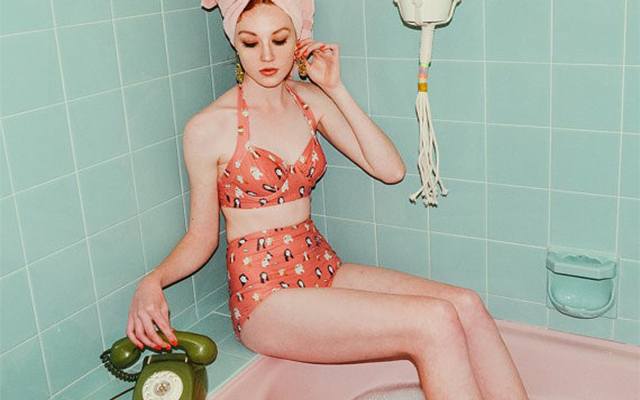 Check out the handmade swimsuits by Australian designer Alice Nightingale (about $120 per matching pair). 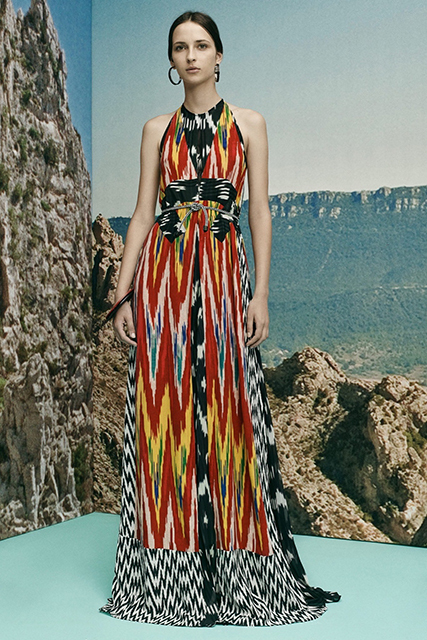 Alberta Ferretti and Altuzarra are just two labels reinventing the maxi dress in tribal prints this season. If you love earthy tones there are many options in neutrals, but I like to zing it up with a colourful print. There are so many styles available, just take the time to find one that suits you! One of my personal favourites is the Dalmatia dress from the Tigerlily. Stripes are always in! The variation of the style this season is mixing stripes — thick with thin, multiple colours and different angles. 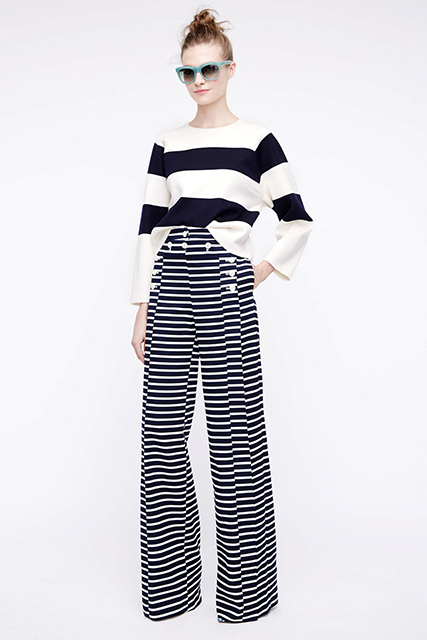 Mugler has released a bold dress with angular stripes and J-Crew mixes stripes in a stylish blouse/wide-leg pant combination. 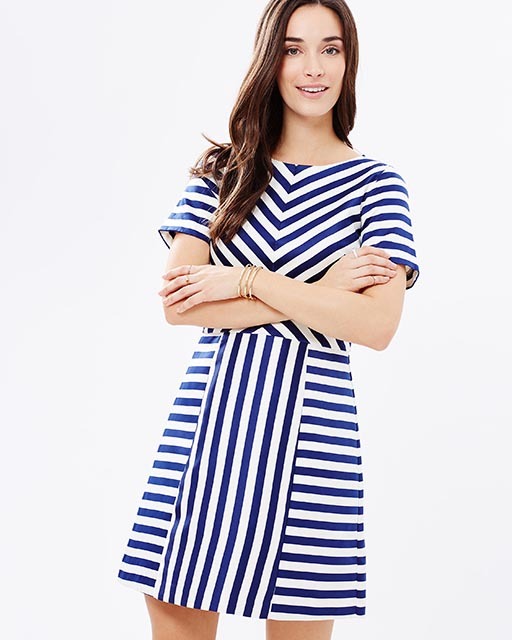 My pick for a timeless stripe piece is the Chloe dress by Oasis as well as the La Raya mini dress from Shonajoy. Red and white are so classic together and are this season’s ‘must match’ colours! Ralph Lauren and Au Jour Le Jour have some great examples in their Spring RTW lines. Mix and match tops and bottoms, or go for a dress like the Cactus Dress from Maykool. 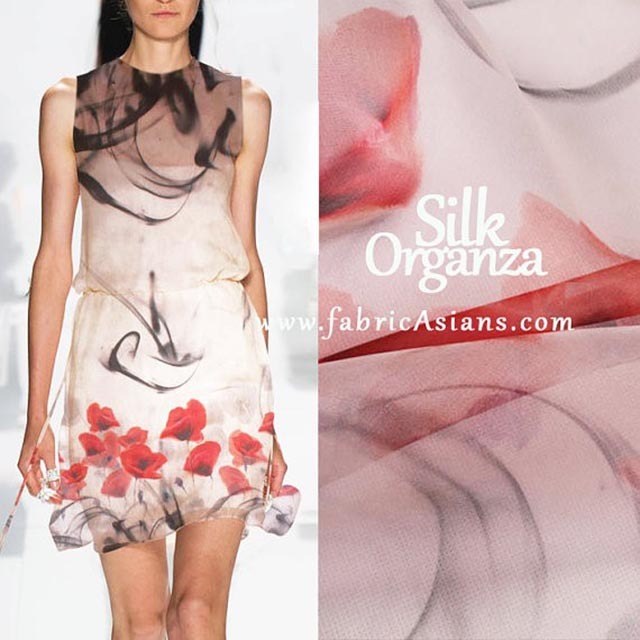 Silk organza is my favourite fabric! I love the crisp delicate sheerness, and I was thrilled to see the top designers are using it this season. Consider this: a skirt like the Moncler Gamme Rouge production below can be made by anyone with some rudimentary sewing skills. For those of you wanting to make a silk organza skirt I recommend using ‘Fabric Asians’ which starts at $12.98 per metre on Etsy! Remember, you don’t need to be trendy to make the most of the current trends! Observe, combine, create and shop critically. As Lauren Hutton said: “Fashion is what you’re offered four times a year by designers. And style is what you chose”. Fastastic exprience of learning after reading your blog. I enjoy deeply your aesthetic taste. Thanks for this lovely article and have a look my blog, Saree Blouse Design.